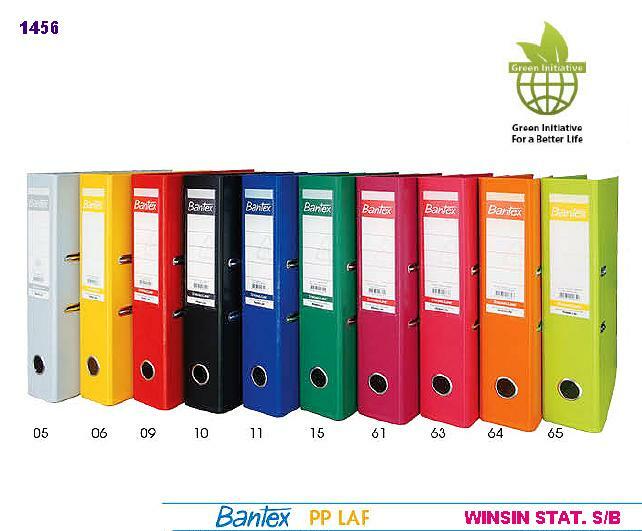 Bantex ECO Lever Arch File made from environmentally friendly, PP on the outside with paper lining inside, which does not cause pollution when incinerated. The greyboard is recycled greyboard. the binding itself is bound like a book without any sharp, welded edges. The front is fitted with Rado system, whick ensures that lever arch file is stable on the shelf. Also featured with metal reinforced finger ring and replaceable spine label.